One time I was fired from a company that I had worked at for five years with a flawless safety and service record, completely out of the blue, for showing up to a customer too early of all things. I was floored when I got the news. I had no idea what they were talking about and could not make any sense out of why I was being let go. This is my story about how this situation played out and what I did when I spoke with management about the situation. Hey folks, I'm Brett Aquila with TruckingTruth and welcome to another episode of our podcast, 'The Road Home', where we help new drivers prepare for life on the road. This week I'm going to do something a little different than I have in previous episodes. This week I'm going to tell a personal story about one of the most extraordinary and unusual days in my trucking career. I was fired by the company I had worked at for almost five years after a breakdown in communication meant that I didn’t receive the important information I was supposed to have regarding the load I was picking up. There are some incredibly important lessons to be learned from this situation so let's get right to the story and we’ll talk about the lessons afterward. So I was picking up a load from a customer in Dallas, TX. The instructions on the Qualcomm said do not go in early. No biggie. Sometimes it says that because customers either can't get you loaded early or don't have the room in their warehouse to receive shipments early. Well even though it says don't go in early, my company has a policy that says if you're late to a customer twice within a six month period you can be fired. So you can't be early, but you can't be late either. Well the instructions weren't specific in any way so I figured I'd show up about 30 minutes before my appointment time and whenever they're ready for me I'll be waiting. This all seems like very routine stuff at this point. But this was no ordinary situation. Turns out this customer has received warnings from the fire marshall that trucks can not park on the street outside their gate. So this customer told our company do not let trucks show up more than 15 minutes before an appointment time. Turns out we used to haul eight loads a day out of this customer but our drivers kept showing up too early and they cut it back to four loads a day and were threatening to cut it to two. Well in a company with over 5,000 trucks the owner actually got involved in this one and there was a meeting about this situation. The owner said that every dispatcher must call their driver and tell them specifically not to go in more than 15 minutes early. Not only that, but the next time a driver goes in early, both the driver and the dispatcher will be fired on the spot, no questions asked. A direct order from the owner of the company. Well unfortunately, of all times in his life to do so, my dispatcher dropped the ball and never called me, never messaged me anything about any of this. I had no clue whatsoever that any of this was going on. So I show up about 30 minutes early and I'm the only truck there. they immediately give me a dock, they get me loaded up in no time, and I'm rolling down the road. Totally routine. The next morning I'm a short distance from my delivery and I get a message to come to the terminal after the delivery, but they won't explain why. No problem, that normally means a random drug test. I didn't think anything of it. I make the delivery, I get to the terminal, and my fleet manager, who is my dispatcher's boss, and the operations manager, who is over all of dispatch and load planning, come walking over to me. I know both of these guys well enough at this point because I've been with the company for almost five years. Super nice guys. They come up to me with this grim look on their face, ask me to follow them, and we go into an office and they close the door. The operations manager says, "That load you just picked up? You went in too early against specific orders and now we have no choice but to let you go." I was absolutely floored. Blindsided. If a bomb had gone off I couldn't have been more stunned. Five years of impeccable service. No service failures, never scratched a fender, and I was always one of the top producers on every board I was on, and without warning, and seemingly without a sensible reason I was being fired for being early to a customer? I couldn’t make any sense of this at all. I said to those guys, "You realize I must be the first driver in the history of this industry to have the service record I have an then just randomly be fired for being a few minutes early to a customer, right?" Well these guys knew me and they knew my performance record and they were quite distraught themselves. So I asked, "Well I can't be late or you'll fire me, and I can't be early or you'll fire me. What was I supposed to do exactly?" They told me I could have gone in no more than 15 minutes early. I said, "Well why didn't you tell me that?" As soon as I asked that question their eyes got real big and they kind of leaned back in their chairs like they were surprised by what I asked. The operations manager says, "Didn't you get a call from your dispatcher about this situation?" and I said, "No. No one told me anything. I'm completely baffled right now as to what the heck is going on. It said don't go in early so I figured that probably meant a few hours. I've don't recall ever being told that more than 15 minutes before your appointment time was too early." Well the operations manager leaps up out of his seat and says, "Give me one minute. I have to go talk to someone." He returns a few minutes later and finally explains the entire situation I was caught up in. He told me how they had special meetings and there were direct orders from the owners to fire my dispatcher and fire me and all that good stuff. I asked what had happened to my dispatcher, and they said he was already fired. So the operations manager says, "Listen, you were supposed to be told not to go in early but you didn't get the message. I don't have the authority to hire you back after the owner gave a direct order to fire you but I want you to explain your story to the assistant terminal manager and we'll see what he says." He told me he'd be available in about ten minutes and they'll come get me when the time comes. So I’m sitting in the tv room and I realize this is the moment when I had to decide what I was going to do. With almost 10 years of experience in trucking at the time, a clean service and safety record, and five years in with this company I could snap my fingers and have any of a hundred jobs within an hour. So what was I going to do? Should I become indignant with the way I'm being treated, storm out, and go to work somewhere else? Or should I try to talk my way back into the company? Well probably 90% of the people out there would have stormed out and had their pick of companies to work for. But after 10 years in this industry, and five years with this company, I was quite happy working where I was at and I knew this was nothing more than a communication breakdown. It wasn't personal against me. It was just bad luck. My dispatcher happened to be the one that dropped the ball and I wound up being in the wrong place at the wrong time. So I decided I would try to keep my job. I got out a pen and a notepad and I started writing down the points I wanted to make to the assistant terminal manager. A few minutes later the operations manager comes in and says, "Follow me. He's ready." So we shake hands, I say "Nice to meet ya", and he asks me to explain to him what happened. So I took out my list and made my points. I told him I was never informed about the 15 minute time limit and he had already verified on the Qualcomm history that indeed I was never sent that message. Then I told him about my service record with the company. I have no reprimands of any sort. I have no service failures, no write-ups, and no safety incidents. I also get along well with everyone and I have absolutely no intention of leaving the company, even though I could go anywhere I like, because I'm quite happy here. Now the interesting part of this is that the operations manager and my fleet manager we sitting in their own chairs right by my side. They knew me, they had heard my side of the story, and they were supporting me in my efforts to convince their immediate boss that I should be kept around. That is a very big deal. So I tell my story, the assistant terminal manager agrees that I do not deserve to lose my job, but he does not have the authority to overrule the owners. But he'll back me and ask the terminal manager, his immediate boss, to hear my case. And they tell me once again to wait a few minutes and he'll see me. So I go back to the lobby and write down a few more points I want to be sure to make to the terminal manager. A few minutes later they come get me and it's off to the next meeting with the fourth person that day. So the same exact scenario plays out with the terminal manager. I get out my list, I state my case, and he also agrees that I deserve to keep my job but for the fourth time that day I'm speaking with someone who doesn't have the authority to override the owners. So he says, "Let me make a call to the head of East Coast Operations. He's in Ohio right now. I'll see if he'll hear your case and we'll get a conference call going." Now it's important to note that in this meeting I had all three of the previous guys with me, the fleet manager, operations manager, and assistant terminal manager. They were all standing beside me in my defense. This was critical to making all this happen. So I go back to the lobby, scribble a few more notes, and wait for the next interview. Sure enough a few minutes later they come get me again. So now there's five of us in the room - fleet manager, operations manager, assistant terminal manager, terminal manager, and myself. We're on a conference call with the man I'm told is number five in line under the owner, at a company with over 5,000 trucks and almost 10,000 employees. This is the level we had to go to in order to find someone comfortable making the decision to keep me around. Not just anyone is going to overrule a direct order by the owners. So I state my case to the fifth person that day. All goes well and they ask me to leave the room for a few minutes while they discuss the situation. A few minutes later they come get me, I sit back down at the table, and they're happy to tell me that the head of East Coast operations is going to take it upon himself to overrule the owner's decision and let me keep the job. He said he'll explain it to the owners, and that I can return to work immediately. And that's exactly what I did. Within an hour I was dispatched on another load and I left the terminal on my next run as if nothing had ever happened. It was an exhausting and bizzare day to say the least, but I was thrilled that everything worked out great. So there are a few key takeaways from this story. The first thing people need to realize is that truck drivers have absolutely no authority over anyone, except for one situation. You are allowed to refuse to drive the truck if you feel it is not safe or legal to do so. That's it. You have to learn how to make your way in this industry without being able to boss anyone around. You can't make dispatch give you more miles. You can't make management keep you around. You can't make customers load or unload you faster, cooks prepare your food faster, mechanics fix your truck faster, or even make vending machines give you the snickers bar you just paid for. You have no authority as a truck driver, so you have to learn to be savvy when dealing with people. You have to learn how to talk to people in such a way that they’ll be willing to listen to your side of the stories and they’ll be willing to help you out with situations that are beyond your control. Another point I'd like to make is to keep your cool and assess the situation properly. I'm tellin ya, 90% of the drivers out there would have flipped out, cussed out management, and given them the finger as they walked out and went to find a new job. Well not only was this situation not directed at me personally, but I didn't want another job. I was happy with the one I had. I had new equipment, I was making top wage, I had my personal choice of dispatchers, I was in the division I wanted to be in, and I had five years of excellent service with the company that I could use as leverage to open up new opportunities. So why would I want to leave and start over again at the bottom with a new company doing the same job I was already doing? And why would I want my record to show that I was fired by a company after doing such an excellent job for them? This situation wasn't even my fault. So I certainly didn't want to get run out of the place for a simple communication breakdown in the office that had nothing to do with me or my performance. So it made a lot more sense to me to put in a few hours of effort to keep my job, than it would to spend months starting over again and clawing my way up from the bottom. Another thing you have to understand is that truck drivers get very little respect in our society today. And by very little, I really mean that most of the general public can't stand us. Our trucks are always in everyone's way and when we get out of the truck a significant number of us don't know how to have a pleasant conversation with anyone. They just want to fight and complain and criticize and cuss out people all the time. So as a truck driver you're not only the lowest man on the totem pole when it comes to authority, you're also the low man on the totem pole when it comes to getting respect for what you do. So you absolutely must learn to by humble and kind, patient and tolerant, or you're just going to be hurling yourself into a brick wall every time you run you big mouth. That's the reality you have to face as a driver. 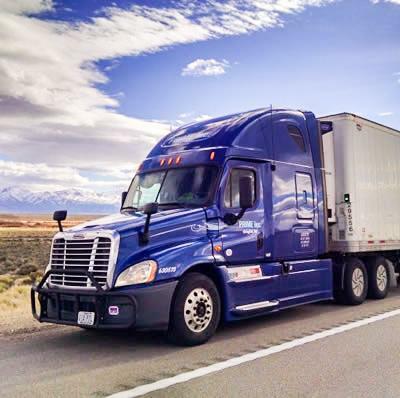 Some drivers learn how to work well with people and they wind up in great situations with top pay, top equipment, great miles, and fair treatment. Unfortunately many drivers never figure this out and wind up running into one brick wall after another for years. After a while they often grow to hate the job and everything about the industry because they never figure out how to get to that top level where their peers are making better money driving better equipment getting more miles in better divisions. At the conclusion of that last meeting we were all relieved that things had worked out as well as they did. Everyone figured out that I didn't deserve to lose my job and no one wanted to see one of their top performers wind up being shunned by the company and then going to work for one of their competitors. At this point operations manager told me that if it wasn't for the way I handled myself no one would have listened to a word I had said. Everyone had assumed that I simply did not obey the directions given and because the orders came from the top there was no sense in worrying about it because I was already fired. But instead of flying off the handle, I made a list of logical and well thought out points, I handled myself like a professional, and I spoke to everyone with respect . And because of that, and because of my record with the company, everyone was more than willing to listen to what I had to say. And once I was able to state my case, one at a time the managers came to realize that I was indeed in the right in this situation and in fact I had known that all along. And yet even with my great record and all of the years with the company I still chose to speak calmly and professionally with everyone, and state my case logically, even after being fired without just cause. I mean, really, if anyone ever had the right to fly off the handle and scream in people’s faces and freak out, it was me. I had nothing wrong. I had done nothing but a stellar job. And without so much as asking me a question about the situation they decided I was fired and that was that. Hit the road, too bad for you. Handling myself the right way made everyone really wanted to stand behind me. They wanted to make sure that I was given a fair shake, and they genuinely wanted to help me out, even though I was just one driver out of 5,000 and it wouldn’t have made any difference to them either way. And that’s the situation you’ll face time and time again in this industry. You’re going to walk into company terminals, truck stops, restaurants, shippers, receivers, and DOT weigh stations and you’re going to face situations where people have full control over your destiny and there isn’t anything you can do to force them to bend to your will. So the question is, how are you going to handle it when it’s your turn to step up the plate? Can you find the discipline to remain humble and speak to people with respect in the face of adversity, or is it more important to you to vent your frustrations by screaming at people when things don’t go your way? Are you going to learn to work together with the people in dispatch, or you going to scream demands and insults at them whenever things don’t go as you had hoped? When you get pulled over for a random roadside check, are you going to lecture the officer about how he’s a money-grubbing pig who’s keeping an honest, hard working man from doing his job or are you going to keep your composure and have a friendly conversation with the officer in hopes that he’ll like you and want to let you go? You’re going to face tough situations like these on a daily basis as a truck driver and your ability to maintain your composure, and be humble, and speak to people with kindness and respect is going to determine whether you’ll be turning top miles in beautiful equipment while putting nice paychecks in the bank, or sitting at truck stops crying the blues and banging your head against the wall with the rest of the drivers who love to run their mouths. In the end you’ll want to be savvy and disciplined and friendly and humble so that when the workday is done, and you’ve made a great paycheck, you can sit back, and relax, and enjoy ‘The Road Home’. I’m Brett Aquila with TruckingTruth and we’ll see you again next time.